Oh No!! 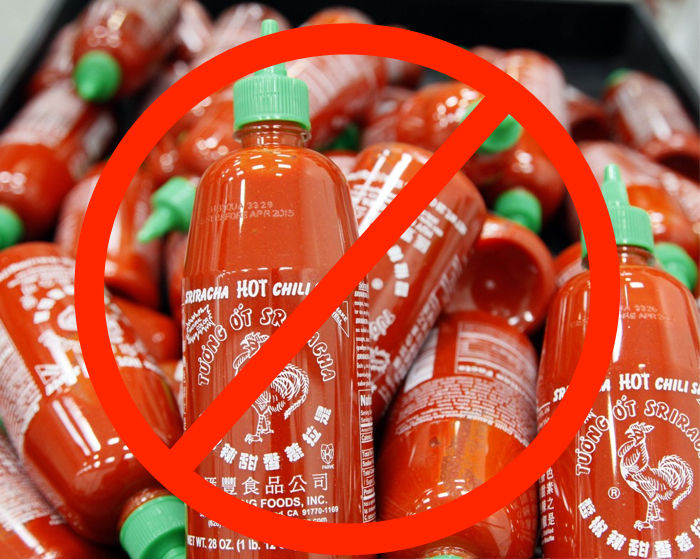 The price of sriracha might go up! The Verge is reporting that one of my favorite condiments is in a dilemma. It is pretty amazing that the company has never raised the price of the delicious sauce in 30 years of production! I better go out and buy a few bottles — Million Asian Market – here I come!! This entry was posted in food on October 29, 2013 by Adam Noah. Saw this on YouTube this morning — VERY cool video of solar mass ejection. I think this is different from a solar flare as indicated here. This entry was posted in Science, technology on October 27, 2013 by Adam Noah. New keicar to be released from Honda soon. I am pretty interested in this as a second car but I have to wonder if this will actually be marketed in the US? Anyone have any insight on this? This entry was posted in Cars on October 25, 2013 by Adam Noah. I have a birthday coming up (October 24) and I found the cake that I want!! Its super cute and looks VERY tasty. If anyone feels the need to get me something – I want this cake. I don’t think I can eat more than a slice, so I am happy to share as well. This entry was posted in food on October 23, 2013 by Adam Noah. I, like many others, watched the Apple event today (October 22, 2013) and was mildly unimpressed with the announcements. But more interesting to me are some of the articles I see being written after the fact coming from the tech media. Recently, it has become common place to say the computer is dying and tablets are killing them. I don’t really understand this statement, as I see them being the same thing. Computers are devices that we use to create, manipulate, and consume information. The form factor is what is changing, not the fact that its a computer. If the general public likes typing on touchscreens and more simplified software, this does not change the fact at all that the underlying components still comprise what is a computer at the core. I recently started using a Samsung Galaxy Note 3 combined withe multimedia dock. This dock provides usb ports for storage, mice and keyboards to be used with the small computer. Additionally, the HDMI out port on the dock allows me to use my television or monitor as a large display. In this configuration my large phone is now nothing more than a very small desktop computer, is it not? It runs Android which is nothing more than a flavor of the Linux operating system but provides (in its phone format) touchscreen inputs as well as easy access to some sensors which also can be used with any other computer. There are some limitations in that much of the software does not scale well and is designed to be used by fat-finger button presses as opposed to pinpoint accuracy of a mouse and that some of the shortcuts I am used to do not work properly on Android. But, ultimately, you would have to provide me some seriously compelling data to convince me that this is anything but a small computer. So when I read articles like this in the NY Times, I really question what the author is trying to convince me of. So what if large computer boxes are not selling as much as small ones? Most people don’t need a Xeon powered workstation to post what they are doing on Facebook. So, they choose to use a smaller computer – whether or not this computer is in the shape of a smartphone or tablet means nothing – they are still computers and the idea that one factor is devouring the other really doesnt mean anything – does it? If the end goal is to post a picture of your glass of beer why does it matter what type of computer you use to do it? This entry was posted in Apple, computer, electronics, Entertainment, technology, television on October 22, 2013 by Adam Noah.